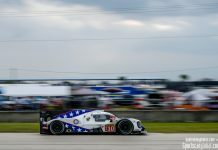 The top class (LMP1) in the FiA World Endurance Championship (WEC) is ever evolving on the car front with gradual developments seemingly being added to cars on a race-by-race basis. 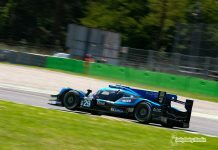 The driver market seems to be quite static, especially with just the two cars for each manufacturer (two of whom fielded three-cars at the 2015 Le Mans race), which has created a bench akin to that at Manchester City.. Allegedly! 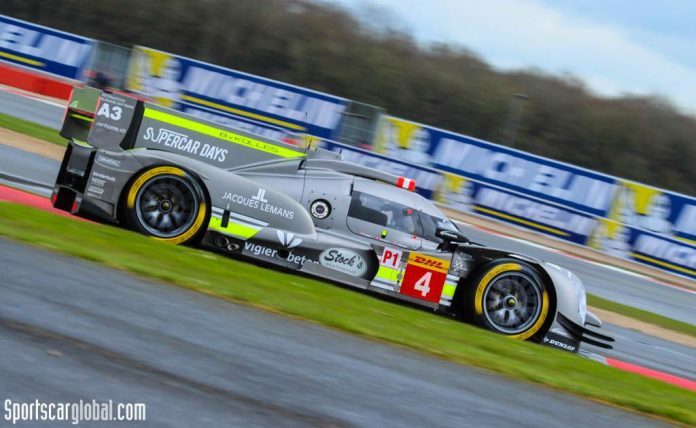 So it was a pleasure to sit down for a few minutes with the 2014 European Le Mans Series (ELMS) Champion, Oliver Webb (OW), and discuss his ascendency to the top step of the WEC-class pyramid with the ByKolles privateer team. OW – Yes, it has been a slightly different career path to normal. At the start the target was Formula 1, and I got as far as leading the (old) British Formula 3 Championship with Mercedes and looking good. Conversations were had with a couple of Formula 1 teams but it soon became apparent we were going to need huge budgets to get in and plain and simple we just did not have it. Went to America, tried the ovals, but they were not quite for me. The first race was Vegas where sadly Dan (Wheldon) passed away and that made it personally quite hard to acclimatise to. As soon as I got into an endurance car, being very quick in all the testing, and winning in my first year, it became very apparent this is where I needed to be. Very happy to be in LMP1 albeit in the privateers, we have a great battle ahead with some great names, Nick Heidfeld, Nico Prost and Nelson Piquet Jr, of course it would be nice to be above them on my first podium! SCG – If Free Practice 1 is anything to go by you are on the right pace, with consistent running. Although it did look like Rebellion still had some installation issues on the #12. OW – Yes, one especially, the other (#13) seemed to be going alright, and we were quicker than them, so happy with that pace. Obviously we want to win on the road, and win outright in the class, but a win is a win. SCG – Not a huge distance away from the slower Audi, but of course we don’t know how had they are pushing..
OW – Yeah, its a bit of a confusing on that. In Paul Ricard we were 3-4 seconds off the slower factory cars, down from 8-seconds last year, but we can’t tell whether they are holding back for qualifying, so we will see.. We will certainly be closer than last year, the byKolles car is a huge difference to last years. James Rossiter drove back in the Lotus-CLM days, and is finding it a totally different machine. SCG – The car looks fantastic with a new nose, it has always had the AER engine in the rear as in the Rebellion R-One. 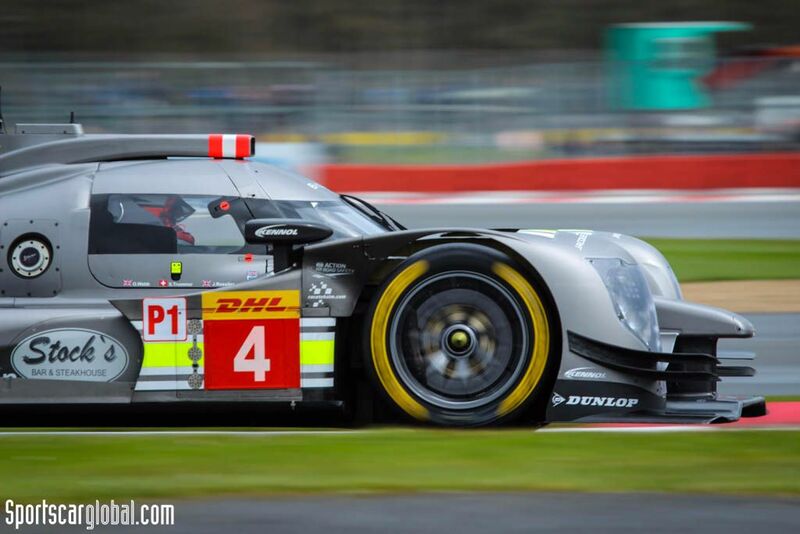 How do you find it compared to the LMP2 units? OW – A lot more grunt, and clearly open to development at each race meeting. It is absolutely mad to see the differences down the straight comparing hybrid and non-hybrid LMP1s. You are almost getting three overtakes in the different phases of the straight. In the earlier practice, the Porsche overtook me coming out of Maggots/Becketts/Chapel, shot past me like it was off into the distance, and then hit a brick wall when the batteries gave out. Apparently they hit a negative 1G when flat on the throttle and the hybrid backs out, all of a sudden losing 400 horsepower! So it overtook me onto the Hangar Straight. Then I pull level with it, and then their highly refined aero takes over and they take the entry to Stowe corner, its crazy! Incredible to have that much difference in that relatively short straight. SCG – Certainly that is something fascinating for the fans to go and soak up! OW – It almost looks like they have a problem (sudden loss of power) and they are amazing off of the corner but the Rebellion R-Ones are actually higher Vmax, they are just so slippery. We have the same engines as them, but carry a lot more downforce and drag. So again in this open championship we will see different teams have advantages at different circuit configurations. SCG – The additional downforce and drag is that a symptom of the age of the CLM P1/01? OW – No, it is more just the route that they went down, we have a whole new front-end which seems to be a bit better already. Rebellion have targetted Le Mans and built a car for it, byKolles have gone for a car that is quick for the whole year, and as WEC has evolved it is going to faster, tracks with longer straights, more Le Mans style. SCG – So your deal with byKolles is that for the full season? OW – Yep, myself and Simon Trummer for the whole year, and Pierre Kaffer comes back from Le Mans onwards. 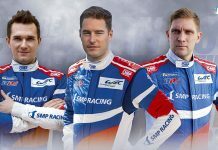 SCG – What are your thoughts for the Big One, Le Mans? OW – Its going to be pretty tough, Rebellion have that straight line advantage. We are going to have to pretty much find a completely different car to compete with them. So, we aim for the Championship, of course we want to win Le Mans, but unless they run into problems, on pure pace we will struggle. SCG – Within the class though that may result in a steady ‘Tortoise v the Hare’ type story? OW – Yes, possible, but for the year we want to be the Hare! SCG – Broader question, where to next ? Can you see yourself getting to a factory drive? OW – Yes, that is the plan, and the sole reason I am here, and I wouldn’t do it if I didn’t think it could happen. So we keep in touch with a couple of the teams. It is a little bit harder to prove what you are capable of due to the limited competition, if you win in a larger field it is perceived as being better. But Colin Kolles has been so accomodating he wants us to be with the team. SCG – We recall the distress at the Nurburgring last year and it is good to see you in a full season drive. We would love to see you get to a full factory drive, but there is that challenging ceiling in GP2, and huge wave of drivers wanting to move across. couple that with the limited number(6) of factory cars and those like Earl Bamber & Nick Tandy backed up. OW – Of course it will always be hard and there are no two ways about it. Hence the size of this years LMP2 field, because everyone has come from World Series, GP2, F3 etc.. to try and prove themselves. But I’m trying to see the positives of it, that this championship is getting huge amounts of coverage and everyone seeing it as a pinnacle of motorsport rather than something that sits below F1 or Indycar, it is right up there and given the negative vibes in F1 it attracts even more people to the great racing that we have got here. SCG – We could not agree more. and look forward to seeing more of the ByKolles Team. Image Credit Kelvin Pope / SportsCarGlobal.com.